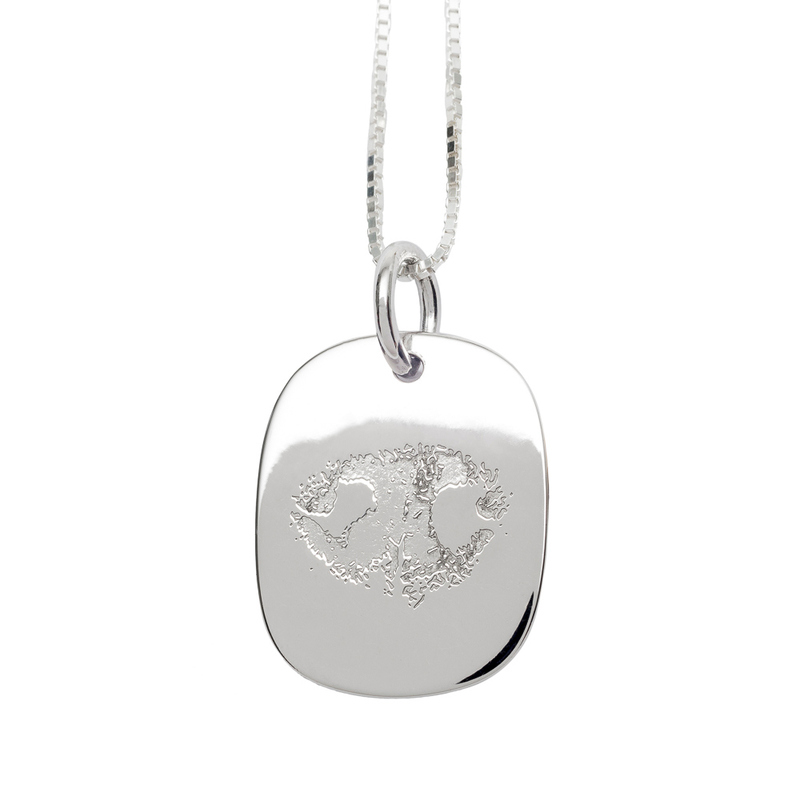 Keep your Treasured Memories® close to your heart with our gorgeous Sterling Silver Nose-Print Engraved Necklace. Once you order yours, we will email you with a confirmation requesting your pet's photographed nose print for our engraving experts to capture and record your pet's print and personality for years to come. As our this piece of jewelry is custom designed and hand created, please allow an additional 4 weeks processing time. 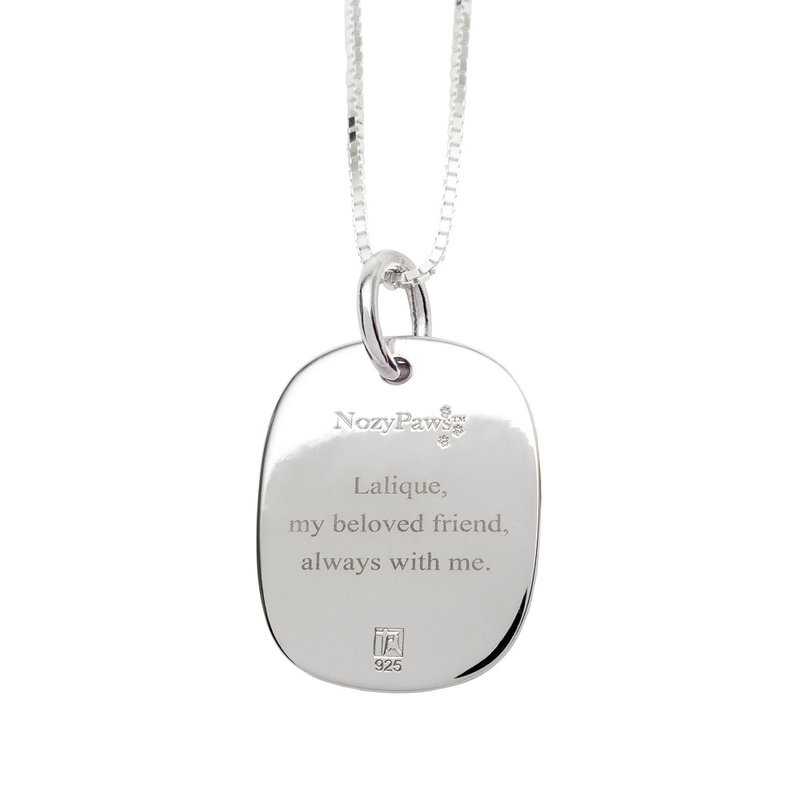 On the back of the pendant, engravable options allow you to write a favorite saying, quote, phrase or verse to celebrate your beloved family pet. Our NozyPaws™ Paw-Print Sterling Silver Keepsake Necklace are for pictures and/or engraving only. They are not able to be filled. Please select from our wonderful Keepsake Pendants and Keepsake Bracelets for your favorite style that does have a seal-able compartment to lock in your Treasured Memories. This memorial pendant can be customized with engraved name, dates, initials or heartfelt message for a loved one on engravable Sterling Silver tab with up to 3 lines, 38 characters (including spaces) in one of our most popular font styles: Block, Script, and Traditional.